With nothing more than a collection of videos that appear to be shot on mobile devices, the page shows scenes that you’d want to share with your friends and family. However, nothing in the videos appears to be actual chats, rather they are merely videos that you’d otherwise send via MMS or email. While we certainly hope that we’ll see video chat on the go from Skype during CES, the page leaves a lot of questions unanswered. Of course, that’s likely the point. 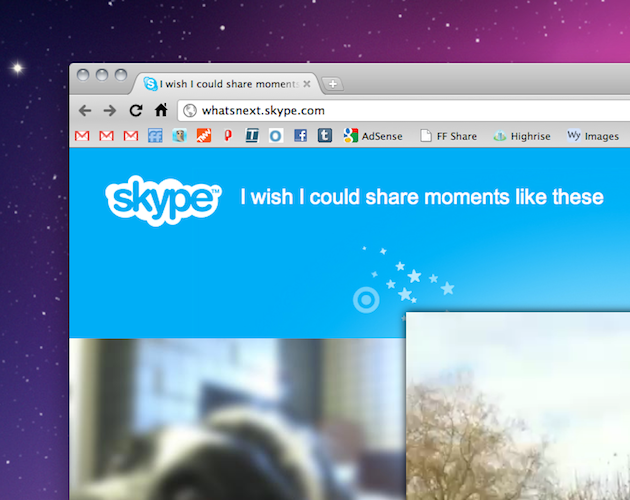 While we’ve been hearing about video chat functions for months, we’ll all just have to wait and see.